Dallas Cowboys seating chart from Cowboys Stadium in Arlington, Texas. 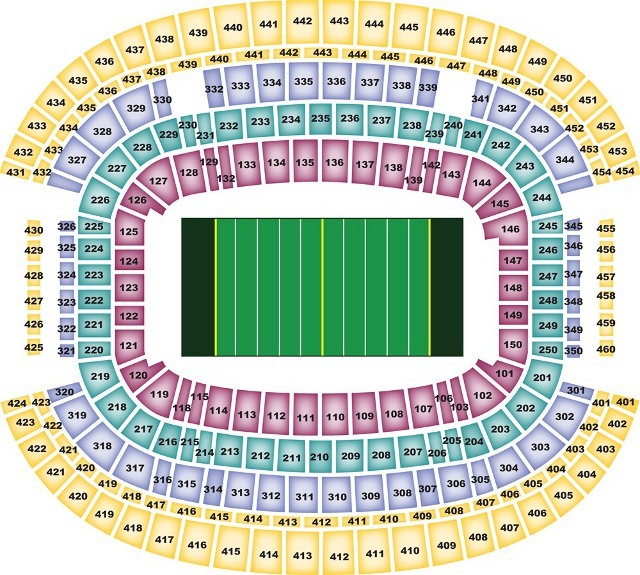 The Cowboys Stadium seating chart is used for every home National Football League game played by the Dallas Cowboys. Consult this Cowboys seating chart for updated information before any Dallas Cowboys ticket purchase. Also see additional details for all of the individual seating areas in Cowboys Stadium: Cowboys Club Hall of Fame, Cowboys Founders Club, Cowboys Suites, Cowboys Club Main, Cowboys Club Mezzanine, Cowboys Hall of Fame, Cowboys Main, Cowboys Mezzanine, Cowboys Loge, Cowboys Upper Reserved, and Cowboys Party Pass.